Investment in medical insurance also entails income tax benefits for the customer. Medical insurance, a type of insurance coverage that pays for medical expenses, has become a necessity today. Under a medical insurance policy, the insurer reimburses the expenses incurred by the policyholder on illness and injury, or pays the care provider directly. Subscription to a medical insurance plan by individuals ensures compensation for them for medical expenses that occur in unforeseen events, affecting one's savings and damaging his or her financial goals. Although investment in medical insurance also entails income tax benefits for the customer, a person should refrain from buying a policy solely for its income tax benefits, say experts. Having a medical insurance policy is important, but a thorough understanding of its suitability with one's situation maximises its outcome. In the current scenario, buying a medical insurance plan is not only an option but also a necessity. To get the best medical facilities at the time of need, and without burning a hole in the pocket, one must have medical insurance, say experts. It is also advisable to plan for healthcare at an early stage in life, in preparing against the possibility of a medical emergency. Needless to say, allotting a portion of savings to medical insurance is paramount. With growing age, one's health becomes susceptible to illness and may require medical attention. Financial strength of a household against the unwarranted expense arising out of a person's medical condition may not be the same in all stages of life. This makes subscription to a medical insurance plan an absolute necessity. It is all the more important for senior citizens (persons above 60 years of age) to be insured and, therefore, protected against any health disorder. Insurers like IFFCO Tokio today provide a variety of medical insurance plans for retail customers to choose from, offering flexibility in different kinds of coverage and benefits. But only having an understanding of both the kind and complexity of medical insurance policies today as well as one's own financial goals vis-a-vis household income can lead to a good decision, say experts. 1. Financial stability: Expenses with respect to a medical emergency may result in severe financial distress. Purchase of a medical insurance plan as per one's requirement ensures financial stability against such an event. For example, savings with an aim to meet one's retirement goals or education of children can take a significant hit in the event of a medical emergency. 2. Cashless facility: Many insurers today offer a cashless facility to their customers, wherein the insurance company works in collaboration with various hospital networks. Typically, expenses incurred against treatment within the network assigned to the policy are paid for directly by the insurer, without requiring the policyholder to spend from his or her pocket under certain conditions. This feature alone can be very effective in protecting savings meant for the planned events in one's life. 3. Hospitalisation expenses: Hospitalisation expenses, especially in the private sector, range from costs related to doctor's fee and medical tests to medicine. Ever-growing demand for medical facilities has pushed the cost to end-user higher. 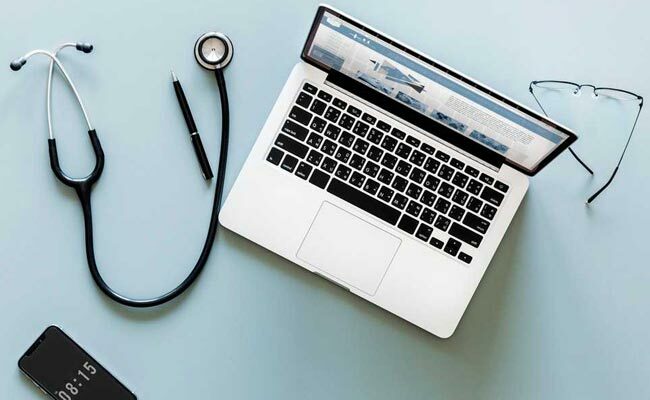 A good health insurance policy usually cover expenses made towards the doctor's consultation fees, and costs towards medical tests and hospitalisation. 4. Pre- and post-hospitalisation coverage: Most insurers today provide cover on both pre- and post-hospitalisation expenses in their individual and group medical insurance plans. Pre-hospitalisation expenses refer to the costs incurred before a patient is moved to a hospital for treatment which may include medical tests and check-ups prior to admission. Similar expenses related to follow-up check-ups and tests, and so forth, are incurred after the patient has been discharged from the institution. Such medical expenses are known as post-hospitalisation expenses. 5. Transportation charges: Many insurance companies also cover the amount paid to ambulance towards transportation of the insured. One should check the components of coverage provided by the insurer in detail before buying a medical insurance plan, say experts. 6. Medical check-up: Some of the insurance policies may even provide the option of health check-ups. 7. Quality of treatment: There may be instances that an individual may have to compromise on the treatment plan due to lack of funds. By choosing the most appropriate medical insurance plan according to one's needs and financial position, the policyholder can ensure maximum protection against illness, say experts. 8. Reimbursement: Typically, in case of a medical emergency leading to admission of the insured in a hospital outside the network served by the insurer, the policyholder is required to make all payments against treatment received. In such a scenario, the insurer compensates the policyholder for eligible expenses under the plan on submission of necessary documentation. This is known as reimbursement. In this mode, the policyholder is required to bear the burden of expenses at least at first, and gets paid subsequently for the eligible expenses covered under the policy. 9. Types of medical insurance plans: Insurance policies today come in all sizes and forms, offering a wide range of facilities to the customer. This is also why learning about all features about a medical insurance policy prior to selecting a medical insurance product is important, say experts. 10. Tax benefit: The premium paid on medical insurance is eligible for income tax exemption under Section 80D of the Income Tax Act. Medical insurance may often also be included in employer benefit packages as a means of enticing quality employees. The cost of medical insurance premiums is deductible to the payer, and benefits received are tax-free. The importance of having medical insurance cannot be underestimated. Rising medical costs can affect a lifetime of savings with just one major medical emergency. Medical insurance can help in paying for these costs. There are several means by which an individual can get medical insurance. A person may pay for his or her own insurance or receive medical insurance as part of an employment package. One should read the contract carefully and understand all the terms and conditions that before selecting a health program, experts advise. 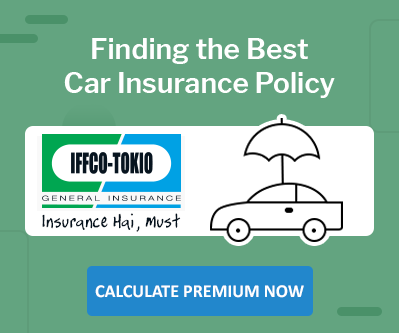 General insurance companies, such as IFFCO Tokio, offer a range of medical insurance and other insurance products.